It’s convention season. With thousands attending big conventions like E3, San Diego, and Denver Comic Con, and others later this summer, it can be hard here in Oklahoma to not be a little jealous. You may be thinking that Oklahoma will never have anything as good as those. But look no further than SoonerCon. SoonerCon started in 1986 as a literary convention and grew into the multigenre pop culture convention it is today. 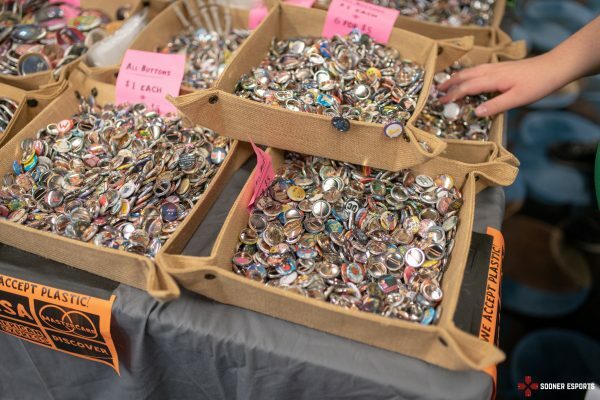 SoonerCon without a doubt has something for everyone. It's three days filled with gaming, cosplay, art, panels, special guests, you name it. Walking around the convention floor was an unreal experience, and the feeling you get is not an everyday occurrence. Being completely surrounded by hundreds of people who share similar interests, gave me, and I’m sure all of the other attendees, a sense of comfort. It’s an odd experience to explain. But when you stand in a crowded room with people cosplaying as your favorite T.V characters, with art from your favorite anime, and chatter about your favorite fandoms, it’s easy to tell that you belong with this group of people. 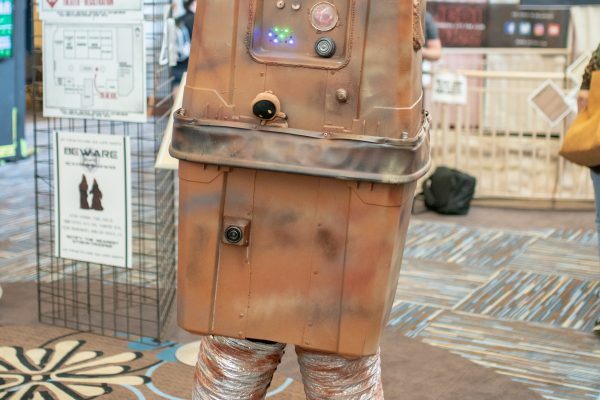 When you think of pop culture conventions, many people have the stereotypical mindset of thousands of middle age, single men dressed up as Star Wars characters. But when you walked into SoonerCon, you probably couldn’t have found a more diverse group of people. 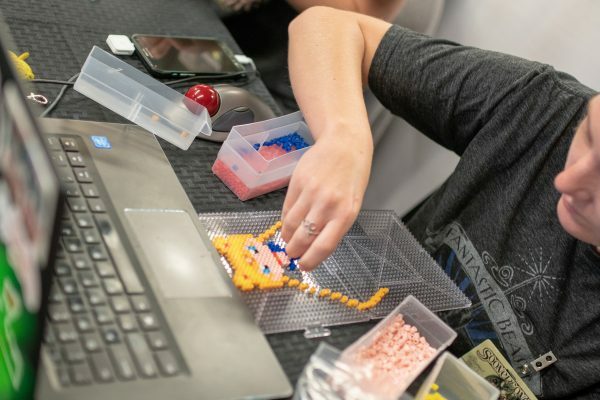 All different ages, genders, and races gave you the message that SoonerCon is for everyone, no matter who and what your interests are. 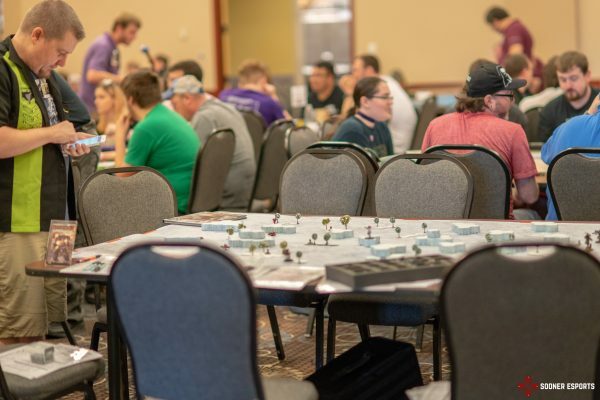 SoonerCon also provided amazing opportunities for local organizations and artists. All around the convention floor were booths for charities and clubs that catered to the culture of the convention. It was fun to see the amount of fandom related clubs that OKC has, most of which I would have never known existed until I got to talk to them. It really contributed to the culture of the convention. 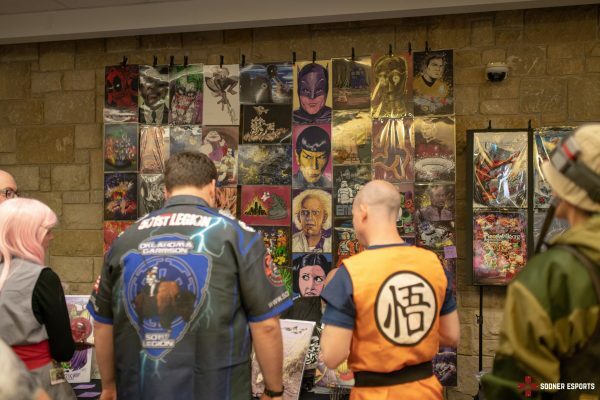 Dozens of artists showcased their talents at SoonerCon as well. 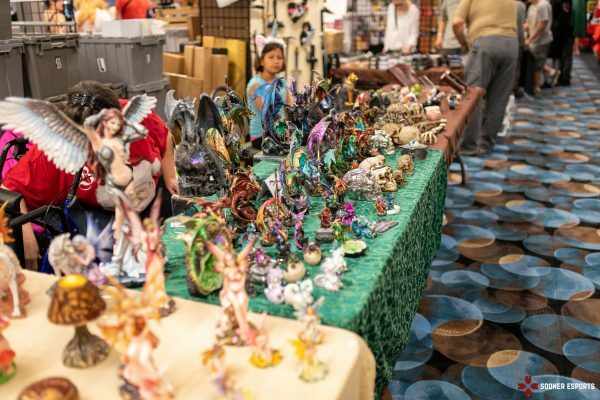 Over 30 vendors set out merchandise, crafts, art, collectibles, and other items to sell to attendees. There was a huge variety of items at any price range, so casual and serious collectors could both have their pick. There was definitely something for everyone. Personally, the vendor hall is my favorite part of any convention. Seeing people’s passions in person is amazing, and finding something handmade that you’ll never find in a store is a really cool feeling. I could’ve spent hours in the vendor room and probably could’ve dropped a couple thousand dollars if I had the funds. 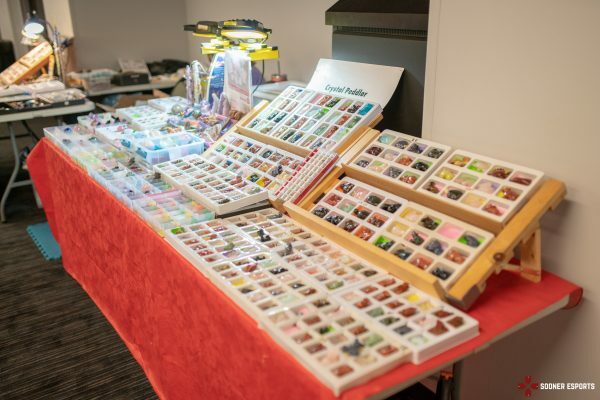 Not only did you get to see the talent from the vendors, the attendees got to showcase themselves too. 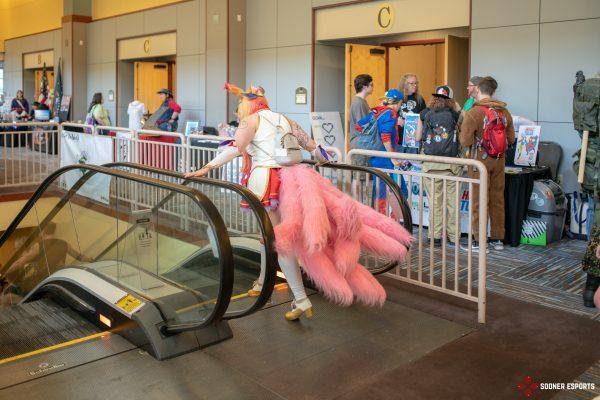 Cosplay is always a big event at conventions and the attendees here did not disappoint. There’s no denying it that Oklahoma has a lot of talent when it comes to cosplaying. There was everything from anime, to video games, to sci-fi, to superheroes. Check out just a few of the amazing cosplayers we found on Saturday morning. Overall, SoonerCon 27 was an amazing experience, and I cannot wait to attend next year. They did a great job of being all inclusive and making it a fun and safe environment where anyone was welcome. Make sure you visit their website and follow them on social media to get updates about next year!